This colorful interactive game features a yellow, blue and red motif, with four posts and inflatable "ropes" like a true boxing ring. Also includes a set of oversized boxing gloves. 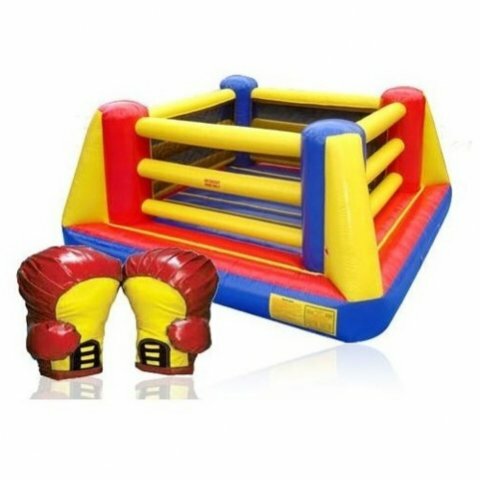 Participants can experience a few rounds in the ring with this inflatable play structure, offering comical and entertaining hours of fun. Great for corporate, school, church and backyard parties.